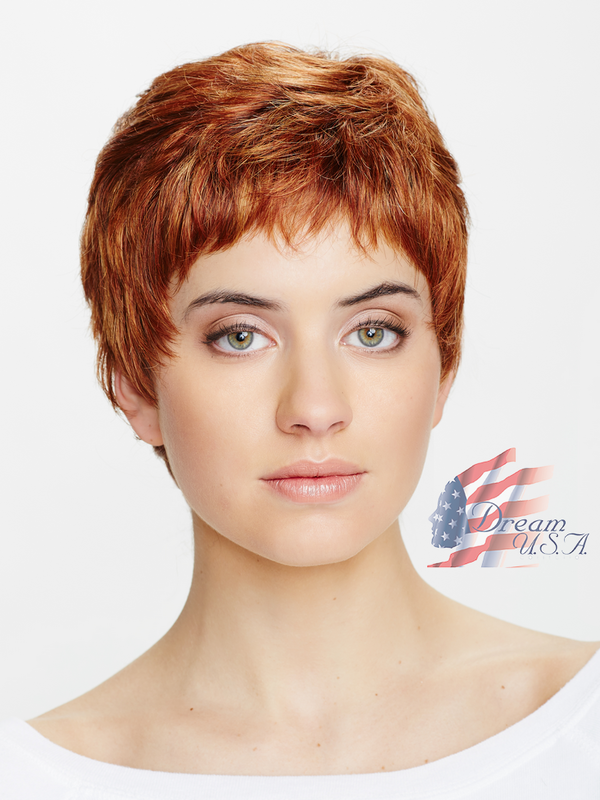 A two step curl short tapered pixie with loose curls at the top. This medical grade style features a hand-tied double mono cap construction for the ultimate in comfort and realism. 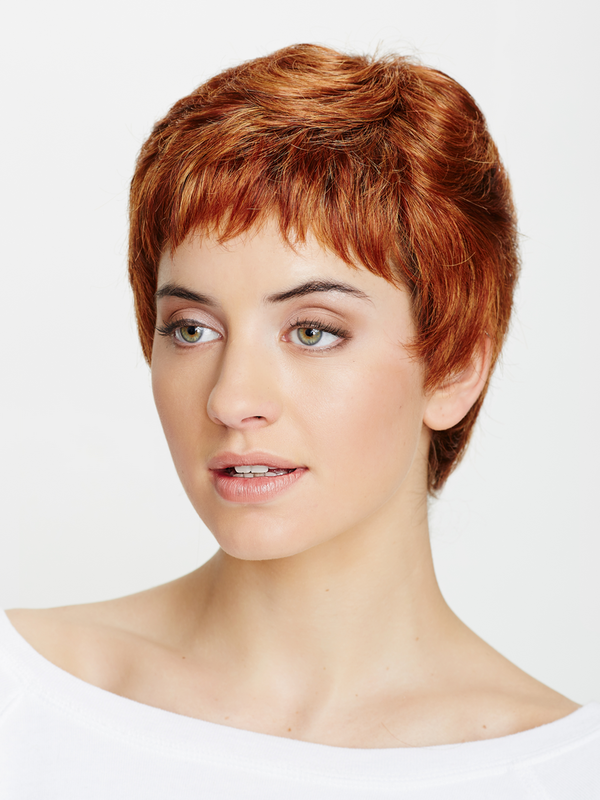 The look of a natural scalp and appearance of hair growth allow for added confidence in wear. 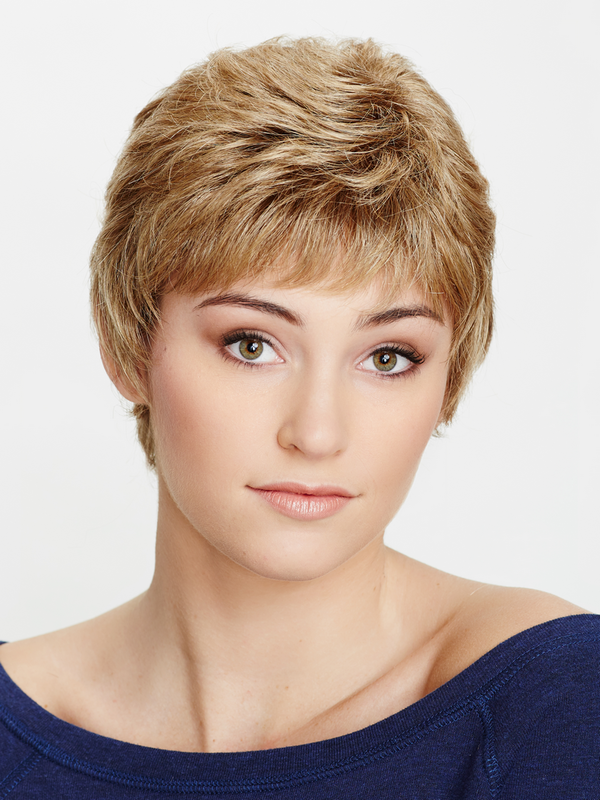 This is an upgraded version of the Aspen Sophie style. 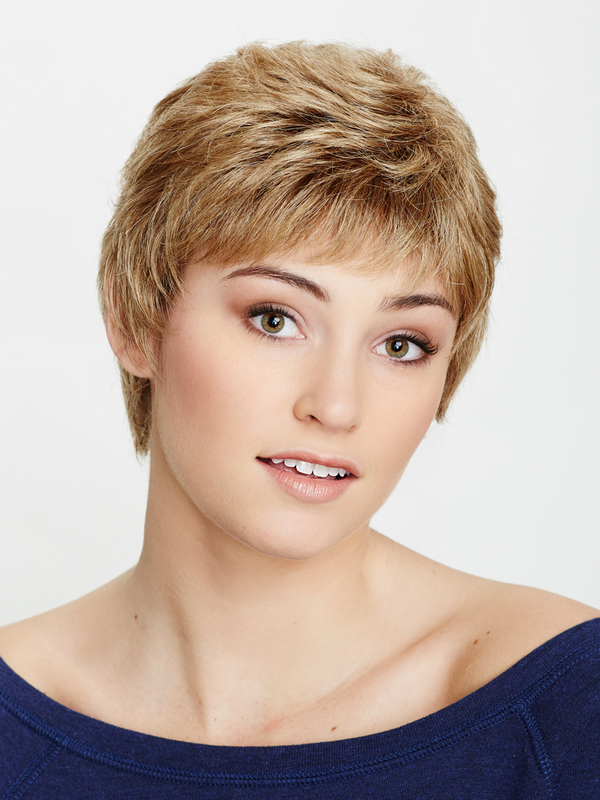 Perfect for women undergoing medical hair loss, and cancer treatment.